I am still troubled by the photos of the children who were murdered. The thought of it simply makes me sick to my stomach. At times, I don’t understand the world we live in. I thought I had seen enough evil in my days to simply make me numb. But unfortunately, I had not. 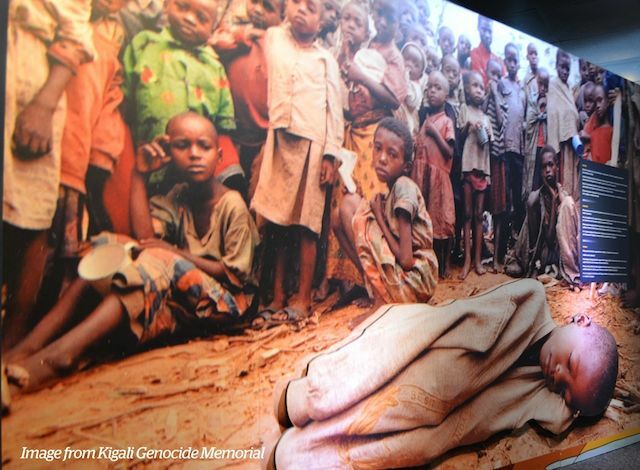 Standing in the genocide museum in Kigali, Rwanda, I saw photos and read stories that shook me to the core. And I realized that I am still surprised by evil. Maybe that makes me naïve . . . or maybe that makes me human. I made the mistake of watching Hotel Rwanda right before I left for Rwanda. The images haunted me everywhere I went. I could not get them out of my head. The room I slept in that night did not help. It was in a dark compound and bars lined all the windows. As the scenes from the movie played over and over again in my mind, I finally had to take a sleeping pill just to get some rest. I stood in a church where, when the killings began, thousands of people fled for safety . . . but they did not find it. The pastor was murdered on the front steps, refusing to divide his congregation between the Hutus and Tutsis. As he laid there dying, 4,000 people, mostly women and children, were slaughtered in their own church. Standing in the very place where this evil attack happened, I was overwhelmed. Walking down the basement stairs, I saw the caskets lined up as far as I could see . . . stacked up from floor to ceiling. This church was now a memorial, a burial ground. A place to never forget . . .
My first trip to Rwanda literally scared me and I found little hope and redemption in such violent and terrifying acts. But, sometimes you have to absorb the evil before you can truly embrace the hope. It is extremely difficult, and can take a toll on you emotionally. But once you do, hope can then shine through in a way that reaches all the way down to your soul. I visited Rwanda again earlier this year, and this time no matter how much I tried to remember the evil, the hope overwhelmed me. It surrounded me. I found it on every corner, in every greeting, in every smile, and in every hug. 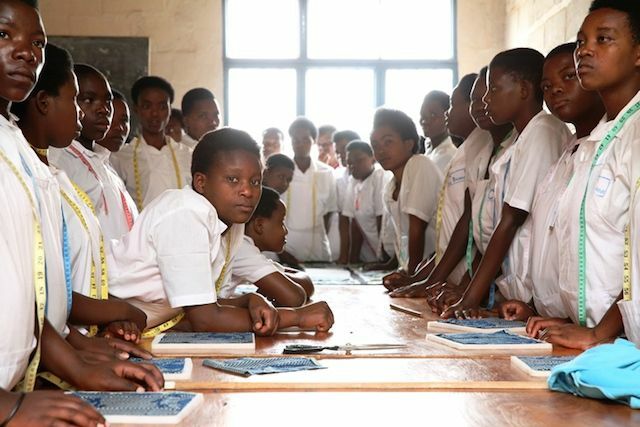 At the vocational school we partner with, I found a classroom filled to the brim with students and sewing machines. And although I know little about sewing and can barely thread a needle, I could instantly feel the opportunity in the room. It was palpable. These girls whose lives have been affected by the genocide in so many ways, giggled as I struggled to cut the fabric along the lines of the pattern . . . something they had already mastered. But, we connected in a way that went beyond the classroom. We were women and girls with dreams and hopes for our future. Dreams that now had the opportunity to come true. And I found this to be true everywhere I went . . . In schools filled with children in our Child Sponsorship Program, who now have a chance to receive an education . . . In a village full of genocide widows who now have clean water, sustainable ways to support themselves, and a purpose in life . . . And in a church that once started under the branches of a mango tree that now reaches an entire community. And I realized this . . . as we strive to help Rebuild Rwanda, it is forgiveness that is truly healing this nation. The people of Rwanda have chosen forgiveness. They have chosen to live side by side—victims and perpetrators. They have chosen hope over despair. On my second visit to Rwanda, I was finally able to see the beauty. The same streets that once flowed with blood now flow with a hope that is unstoppable. It is a hope that can inspire an entire continent, and even the world. Proof that forgiveness conquers all . . . and that in the end, love wins. Rwanda as a nation sought God because it was desperate, and God answered because he was a loving God. That is what is behind our healing and the power of our reconciliation, and it is available to the entire world. The God who is healing and blessing Rwanda wants to heal and bless the entire world if it will but call upon him. I am still surprised by evil. But as long as I am still surprised, I will be touched, moved, and compelled to act. And I will shout . . . Never Again. Interested in getting involved in Rwanda? 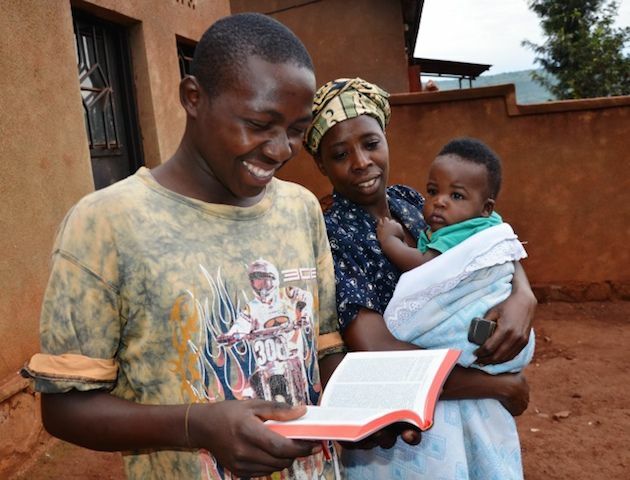 Visit worldhelp.net/Rwanda to learn how World Help is partnering with visionary men and women to cultivate a national infrastructure that grows healthier by the day.